We wanted to take a moment to let you know how much we appreciate all of your guidance and support with our attempts to improve the well-being of our five cats, and reduce the problem behaviors we were experiencing. From the initial consultation, to countless emails and phone calls over the next several months, you went above and beyond to help us achieve harmony. 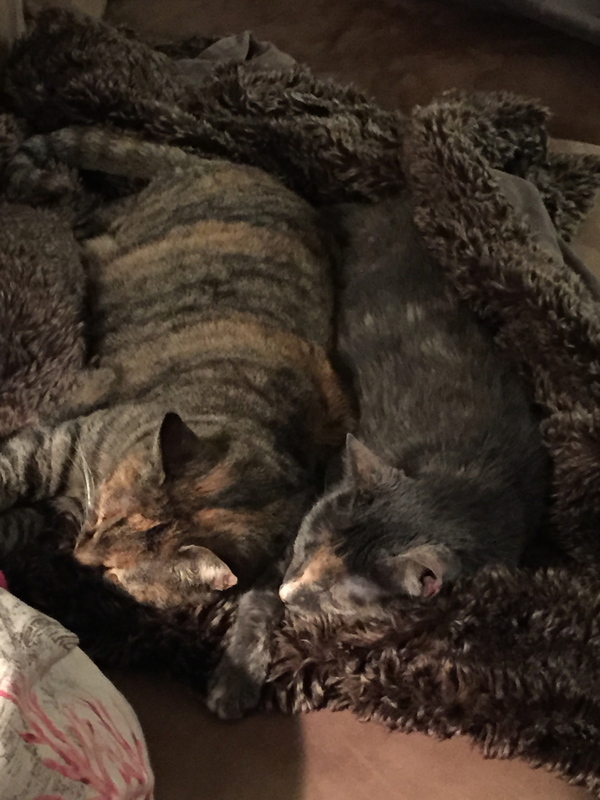 We went from dealing with territorial aggression, urine marking, and even stress related illness to living with five happy, healthy felines! Although we initially wanted to try for all five co-existing throughout the house, we ultimately decided upon two separate living spaces for the older females and the younger males for health reasons. If you recall, this was actually an alternative goal that you suggested during our initial consultation! 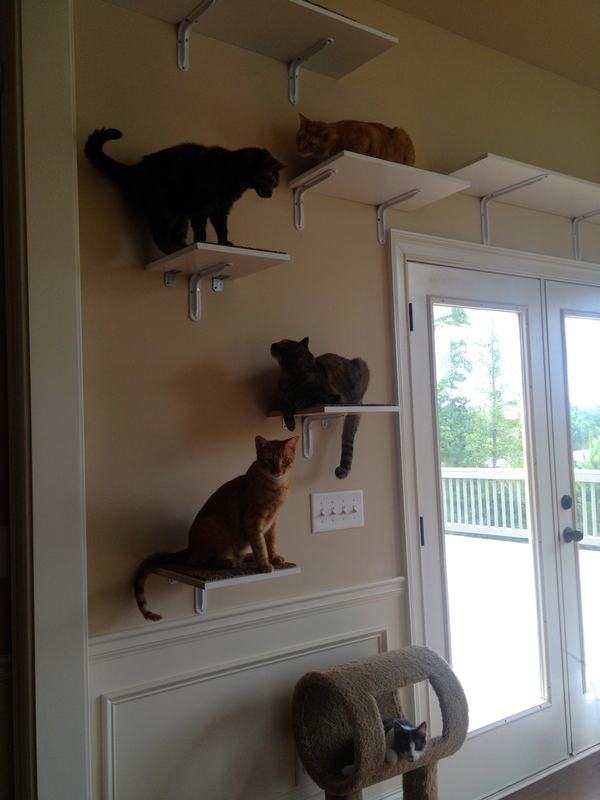 From the foraging toys and cat shelves, to changing the litter box type and feeding stations, we have achieved improvement for each of our cats in some way. You taught us how to listen to what our cats were trying to tell us about their various needs, and how to help meet those needs. Now the cats are not showing signs of any stress related illnesses, are off medication, and we have not had any aggression or elimination outside the litter box in over a month! 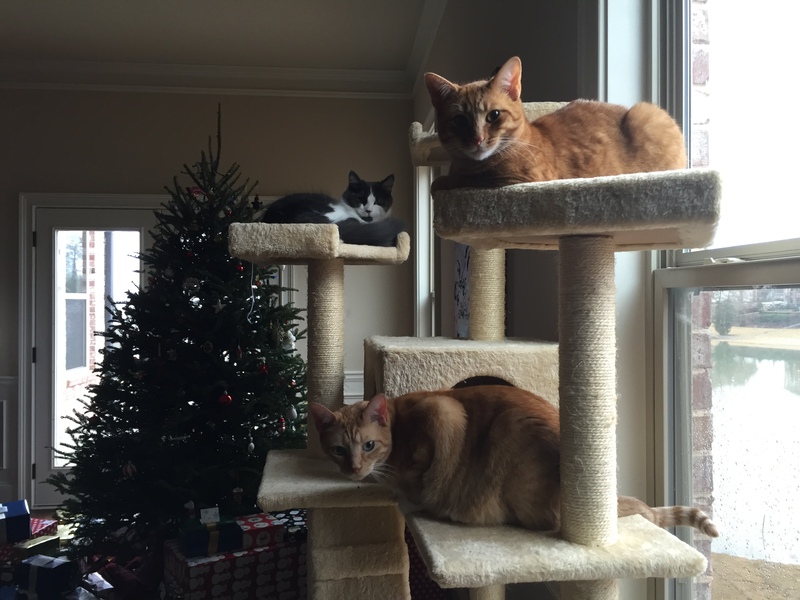 Overall, the cats seem more confident and happy in their surroundings, and so are we! We cannot thank you enough for all of your help and support through this process. Your positive attitude and knowledge helped us feel that we were on the right track even when the situation took an unexpected turn or we got frustrated. Thank you so much for returning peace and harmony to our home! 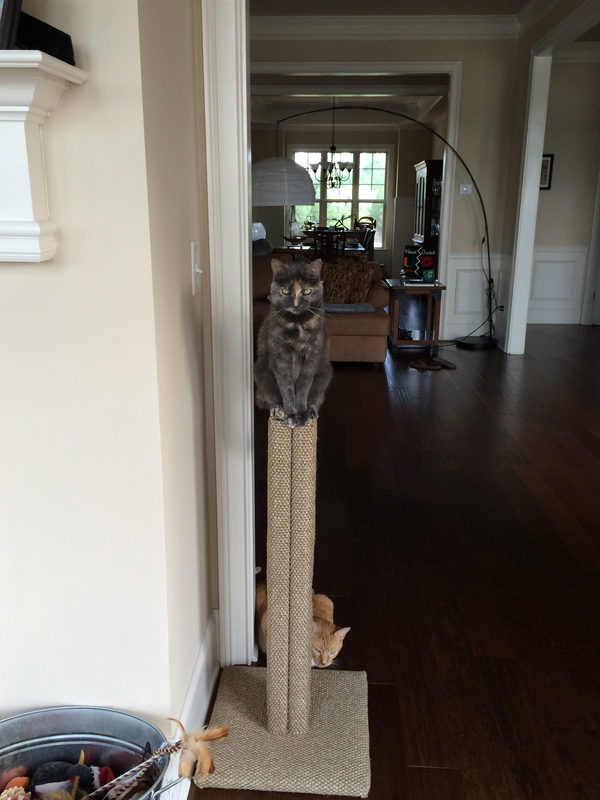 Enjoying their new scratching post from Fundamentally Feline! 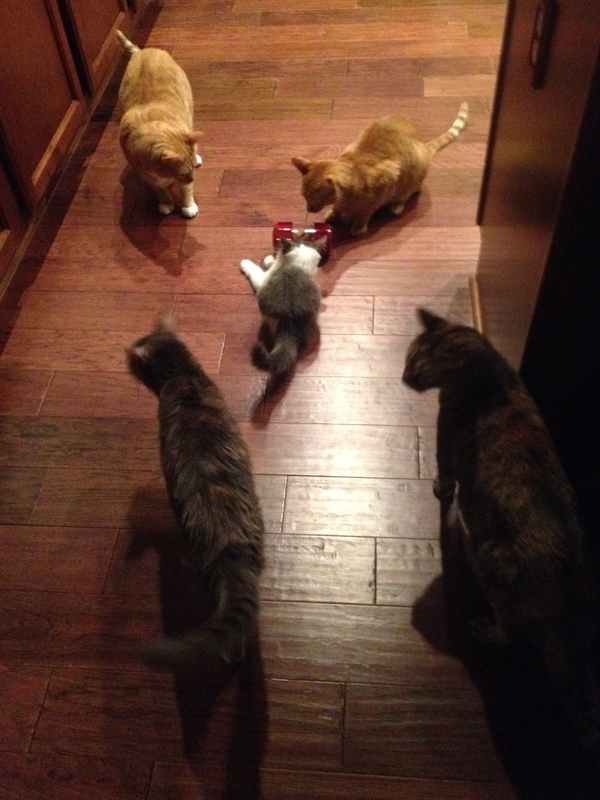 All 5 cats mingling over their new FF foraging toy. Successful co mingling with the help of new vertical space. 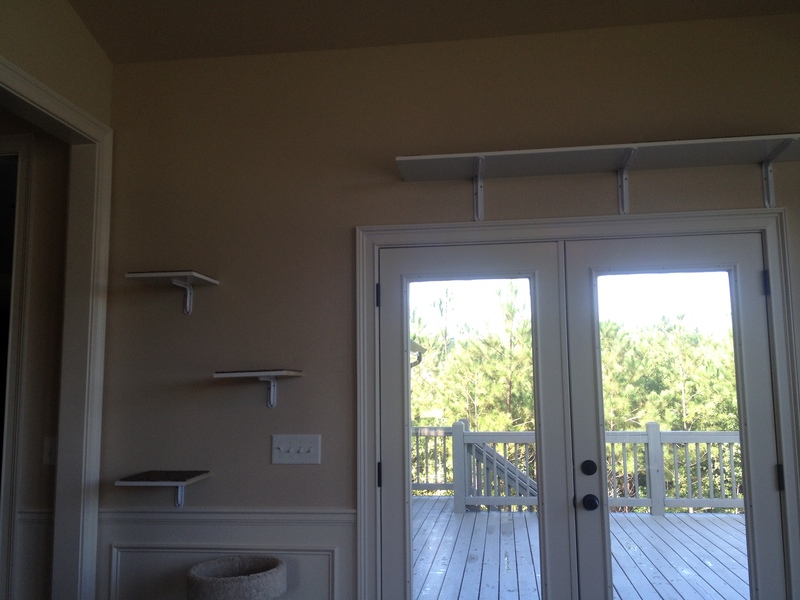 Vertical space built by dad, Chris Miller! Well done.